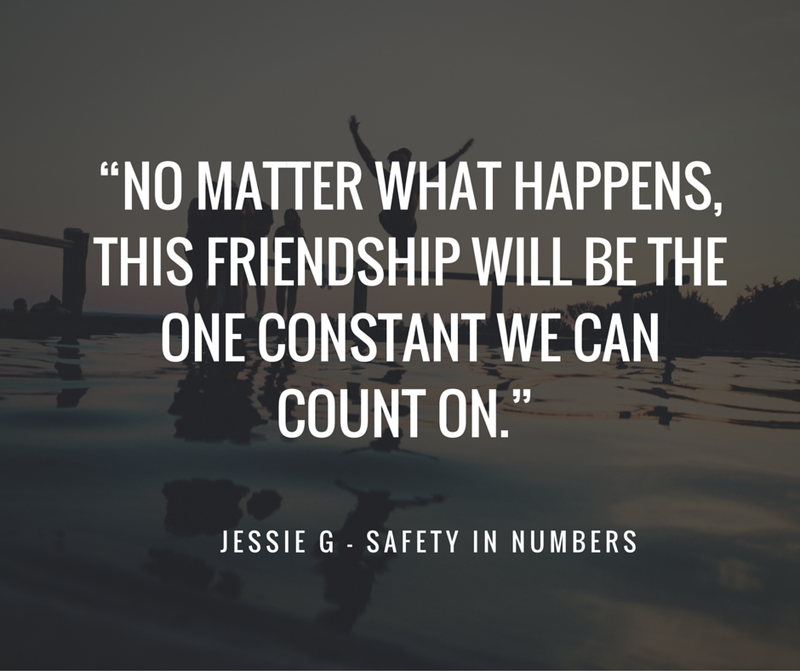 Double The Love: SAFETY IN NUMBERS–Review and Giveaway! Hi there! 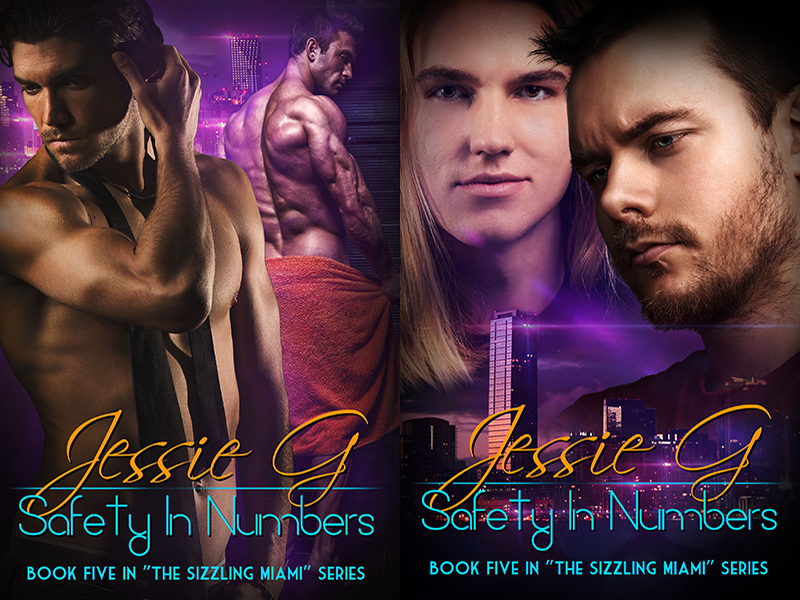 Today I’m so excited to share my review for a new contemporary M/M romance from Jessie G. SAFETY IN NUMBERS is the fifth book in Jessie G’s Sizzling Miami series, and features two couples, with two love stories. I just loved FOR A REASON, and relished the chance to get back to these boys! 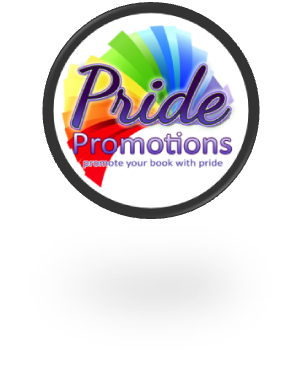 Make sure to drop down and enter the giveaway for two $25 gift cards and signed books! This fifth book in a series, but is enjoyable as a standalone. Billy, Owen, Chris and Liam are all ex-cons in Miami living in a community home and working in various businesses to forward their rehabilitation. Billy, Chris and Liam all work for Bull, Owen’s older brother, in a garage working on cars, though Billy is beginning to branch out into a friend’s motorcycle repair/rebuild shop. Owen is a draftsman and carpenter doing rehabs and finishings. They are all blue collar type guys with simple desires: to repair their broken lives, to find peace, and to find love. Billy and Owen were in prison together and formed a tight bond–they remain friends on the outside and lean on each other heavily. Billy’s unsure that he can stay out of trouble, but it’s been nearly four years and he’s still working hard. He’s tried to reconcile with his family, but they are obstinate–they had been hurt too many times. Owen’s plagued by anxiety attacks and fear of failure, and he’s desperate to have a loving connection. Liam and Chris are stepbrothers who went to prison when Chris killed Liam’s father–an abusive POS who nearly killed Chris on the night of the fatality. Chris had been so damaged he hasn’t spoken in years, but he is now–in slow fits and starts. For Chris, there is nothing he won’t do to protect Liam, who has been cast out by his own family for standing by Chris. Their legal journey (in and out of prison) is murky and likely to be revealed in a later book. So, Billy is interested in Liam and Owen wants Chris, and vice versa. These guys know they can’t survive on their own, so they are trying to build two relationships together. No, not a foursome; two couples who are very close. It’s an interesting dynamic and I was glad to see how they all made time to be together and also to find time to bond as separate couples. I had anticipated a bit more steam, considering we’ve got TWO couples, but it’s not that way. There’s some nice sexytimes, but not an overwhelming amount of them. I think the book really picked up for me about 25% in. All the first part offered was some vague outlines of the background and I wanted to get to the action sooner, so that was disappointing, but the rest of the book was solid. We get some catching up with guys from the previous books, including Bull and Red, and lots of soul-searching and communication, which is great for Chris who hasn’t spoken in so long. The series is growing up, with lots of mature men making mature decisions, which is always fun to see. Setting aside the slow pace of the beginning this was a thoroughly enjoyable read with two feel good endings. Interested? You can find SAFETY IN NUMBERS on Amazon, Barnes & Noble, iTunes, AllRomance and Kobo.